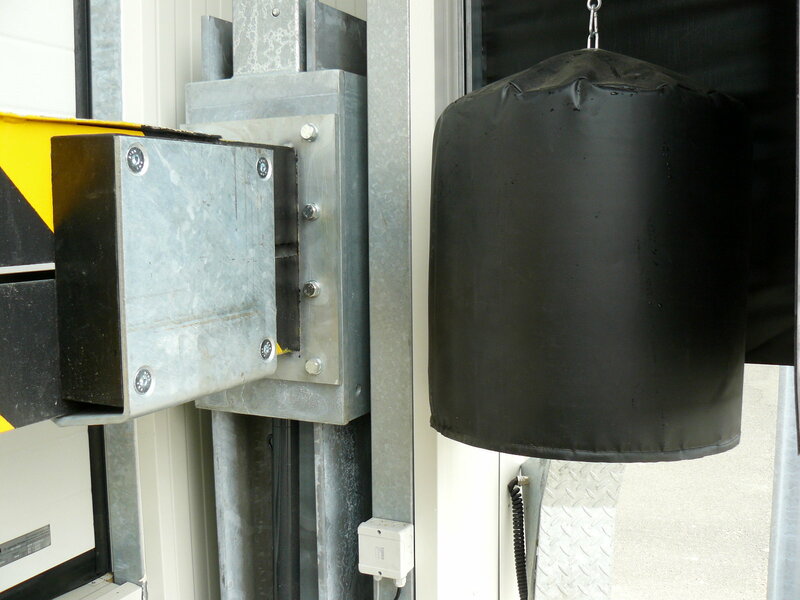 The dockshelter with foam pads of the type LP-TAD-S protects the personnel and the goods during loading and unloading against weather influences. 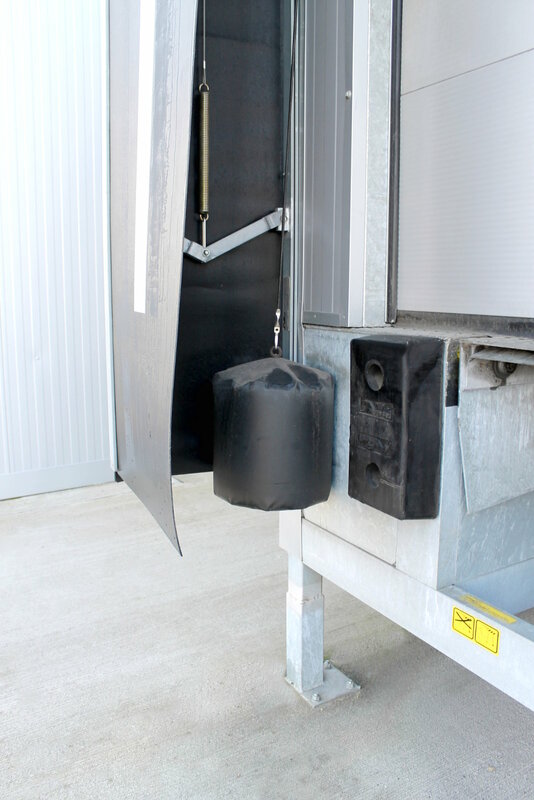 Compared to conventional planar seals, there are no spring systems and steel frames that are vulnerable to damage due to inaccurate truck start-up. 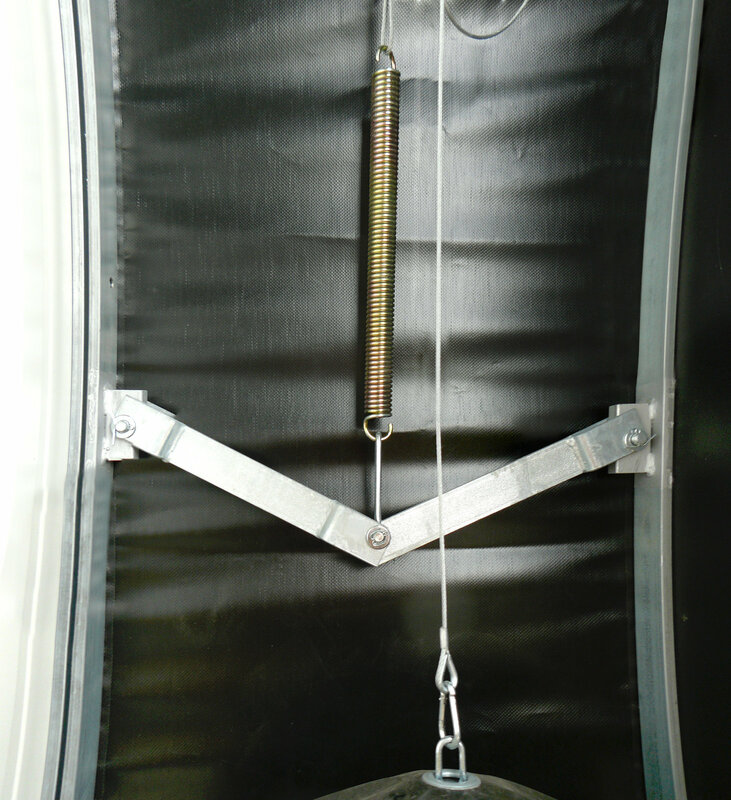 The side panels consist of foam cushions, which are covered with a PVC-tarpaulin and have a high flexibility. The known damages are thereby prevented even better. The roof is designed by default with a gradient so that no rainwater can accumulate on the roof. 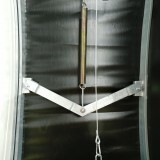 At the front edge, an upstand drains the rainwater to the side, where it can then run off to the yard. The upper-curtain-apron consists of two, overlapping, slit tarpaulins. As a result, the tarp adapts even better to the truck and seals it well. 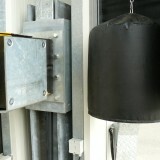 The side plames are equipped with yellow strips as bring-in aids. 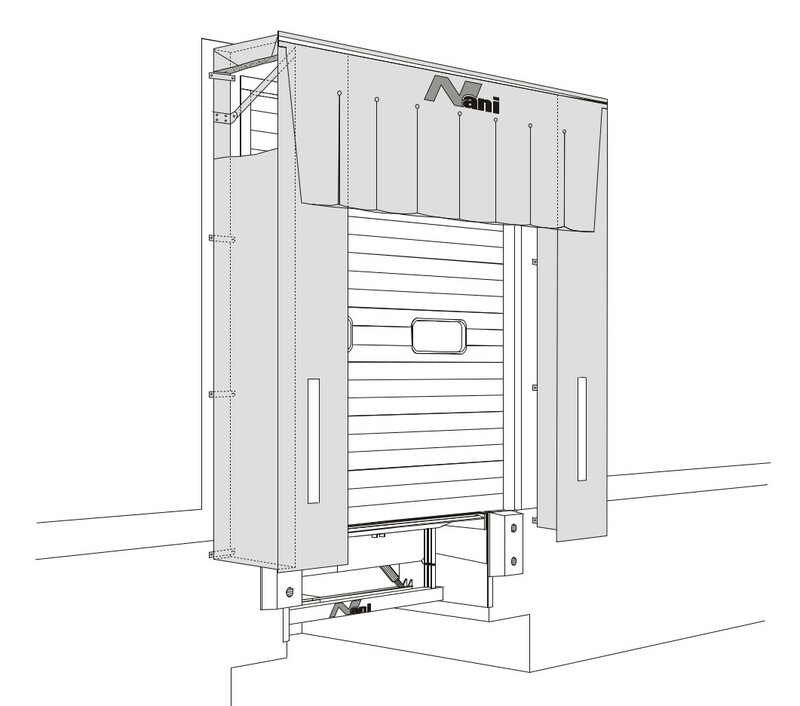 The complete dockshelter, as well as all fastening parts and sealing materials are included in the delivery. 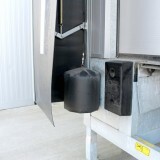 Corner Seals and Angle-Type Bumpers are optionally available. Two bumpers are mounted in the lower corner areas. The side free spaces are thus additionally sealed.